If you have plenty of old keyboards and still don't know how to put them to good use, here's a nice idea: create a pretty geeky box. If everything in your home id geeky, why not have a geeky box (well, at least you are sure to have great time making it!)? 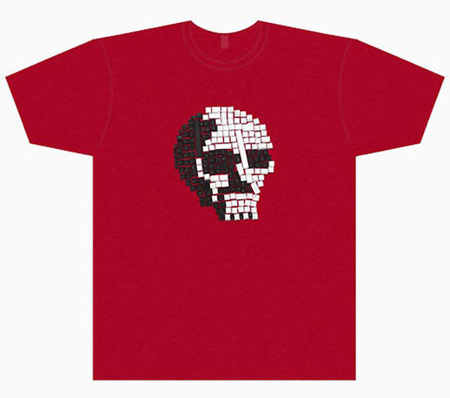 If you have a son, this is just a genius idea: grab keys from his old keyboard and decorate his t-shirt using them. 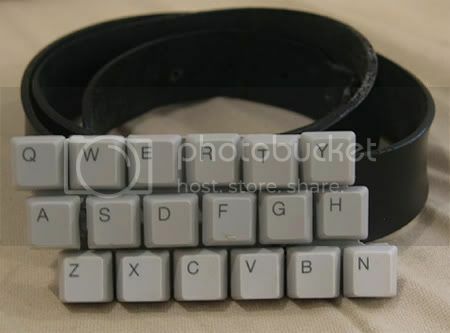 When you already have a keyboard belt, keyboard bags, keyboard necklace and keyboard rings these keyboard pins look like a logical fit. 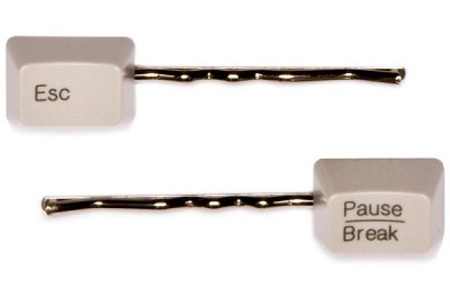 These can be a great match for your geeky outfit. Who knew that you could create some plenty of useful from the old keyboard. 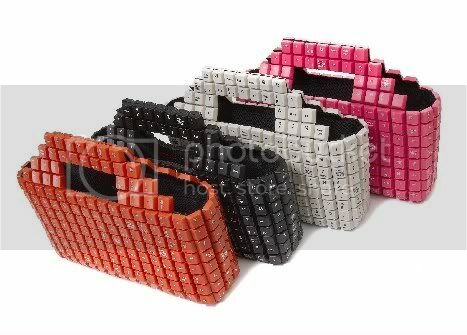 We have already seen a keyboard belt, keyboard bags and keyboard necklace. 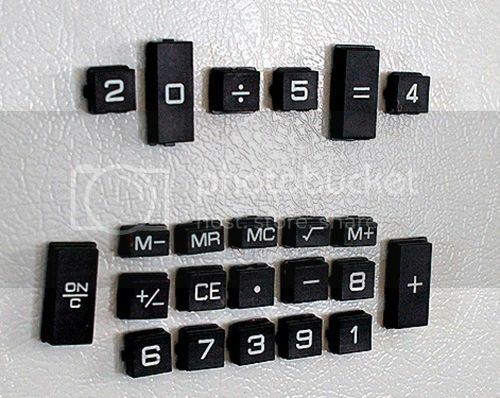 Today's hack will take you no more than a few keys but it's a nice idea! 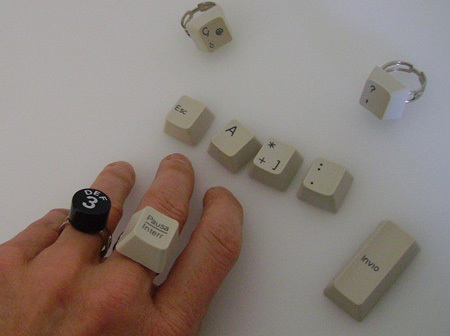 Enjoy: keyboard rings! 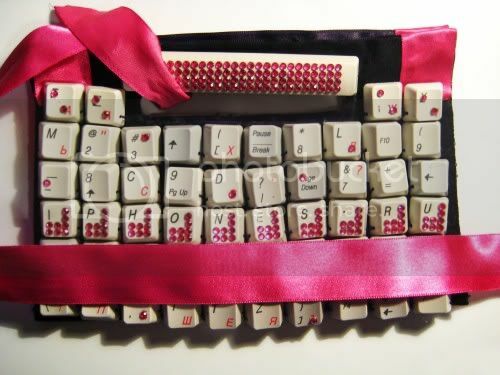 OK, after creating a keyboard necklace and a keyboard bag, a keyboard belt is what you just must have for the full picture. 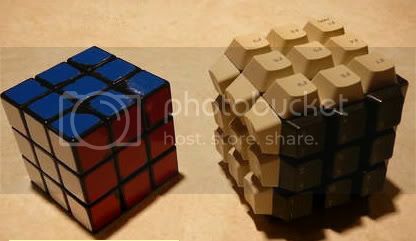 I am sure your friends will gladly share their old keyboards with you in exchange for the idea! (As, I am sure, you are running out of used keyboards by now). Do you want to look like a really geeky stylish girl? 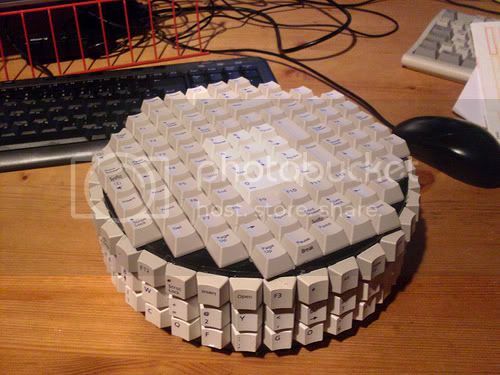 Or just need to find some alternative use for your old keyboard? (Really, those old, unloved gadgets are too cool to be thrown away). 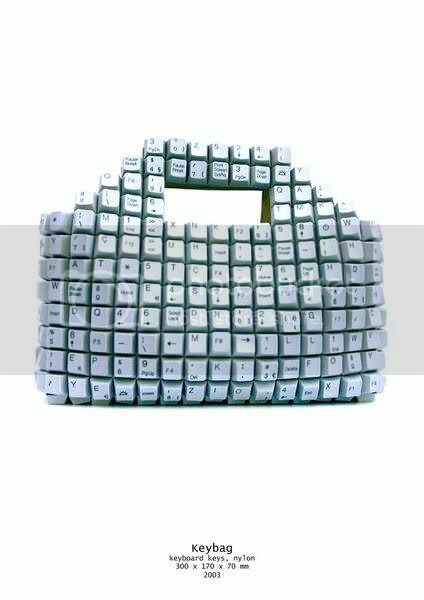 Here's a great idea for you to develop and use: a cool keyboard bag. 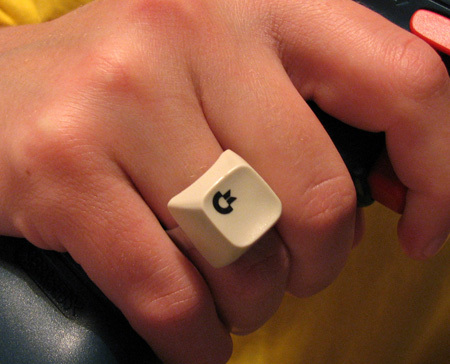 Would you like to look like a real computer geek ... and still stylish? 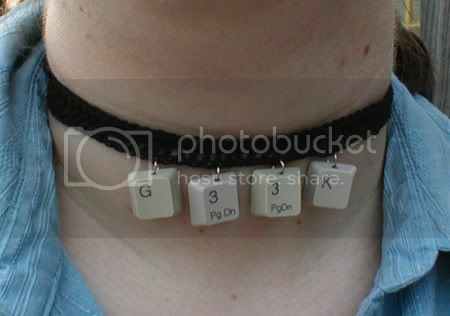 This computer keyboard necklace looks easy to craft: a bit of knitting and a few keys and your are done! 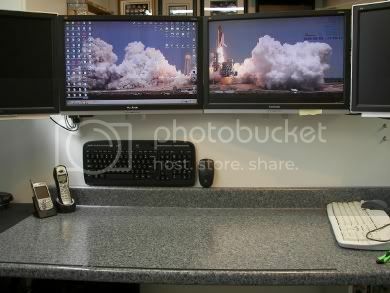 Get more desk space with this magnetized keyboard attached to the wall: all you need is to install magnets to the back of the keyboard and the wall and off you go: a cool stylish gadget that also looks really futuristic.